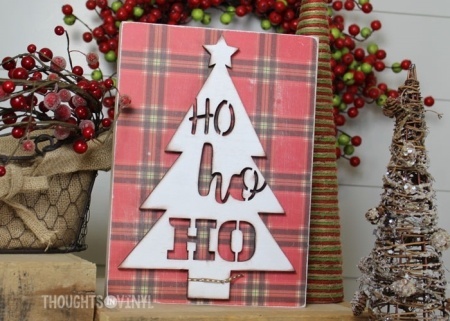 The ho ho ho cutouts are laser cut, resulting in sharp, crisp lines and fine details. 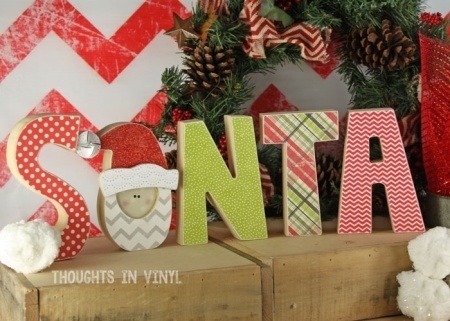 The 3 separate "ho ho ho" words fit together like a puzzle. 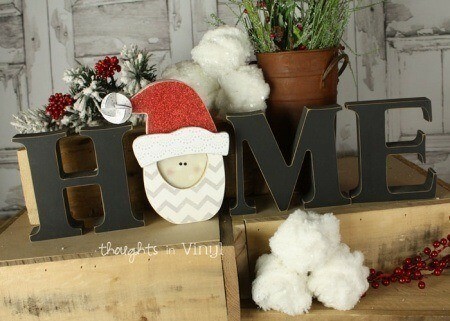 To finish, you can modpodge or paint the wooden boards. 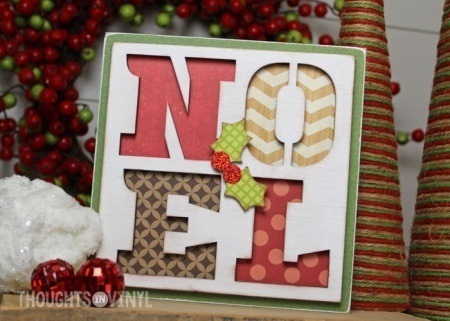 We painted the "ho ho ho" words and modpodged scrapbook paper onto the mistletoe cutout and main block. 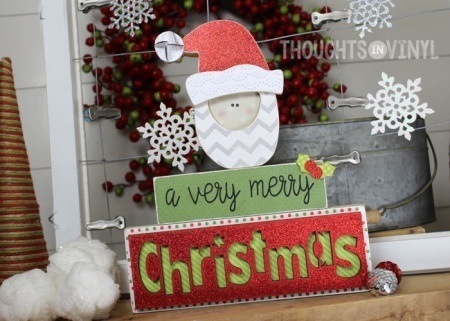 After all pieces are decorated, you glue them together. This would be a fun neighboor or teacher gift.